New Version & Event Guild - A great many events in March! Play it your way! 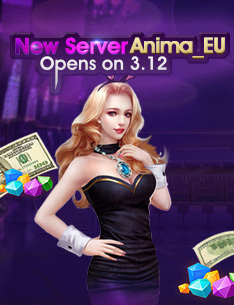 3/12 - 3/25 Anima Hunter Animae worth 1000 dollors are rewarded every day. Exchange your Animae for CPs. The harder you work, the more you earn. There is also a chance to win cash and even luxury car! 3/12 - 4/11 Thunderstriker Privileges Popular items worth 1,000 CPs for every Thunderstriker; Valuable items worth 20,000 CPs for the Thunderstriker who won championship in a PK tournament. Q1: What can you do if you can't remember your account name or password? Q2: Feel confused about the official site that has changed a lot? A: The site is divided into 3 sections. The first section for News including game updates, new event notices, and game walkthroughs. The second for events introducing main events recently. The third for expansions showing new content added in recent years. Q3: Feel hard to play after being away from the game for a long time? A: You will find gameplay guides for the expansions released in recent 3 years on CO's official site. Q4: What are the most popular servers now? Q5: What are the benefits exclusive for returning players? A: A full of free equipment, tons of CPs (B), and more events are listed on the official site. 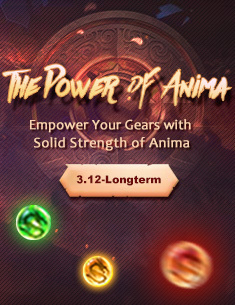 Q6: What are the features of Anima_EU server? A: Eundeavor_EU server uses old maps and truly preserves the value of equipment. For more details, please refer to the official site. Q7: How can you level up faster after returning to the game? A: 1. Participate in the Thunderstriker Gifts Pack event. 2. Upgrade to Level 50 quickly by completing main quests, daily sign-in, or one-armed bandit. When taking the Daily Quests, you can also claim Daily Gift Pack to collect free CPs (B). 3. You will receive 5 EXP Balls at Level 85, and you will be able to accept more quests that offer lots of EXP. When reaching Level 110, you will be rewarded with a Celestial Stone. Use the stone to complete your first rebirth. 4. 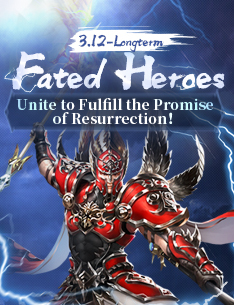 After being 1st-reborn, you can unlock many more functions and quests and earn tons of EXP every day. Q8: Does CO have official communities on other platform? Q9: What is the Supreme VIP membership? A: Quick response and one-to-one customer service. More details are shown on CO's official site. Q1: What are the weapons, skills, Runes and Dragon Souls for Thunderstrikers? A: Please refer to the official site for more details. 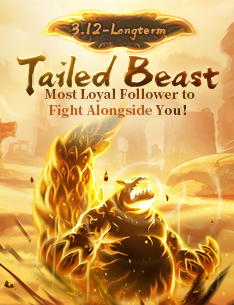 Q2: What is Tailed Beast? Q4: What is Anima_EU server? Q1: How can you level up faster? 1.Upgrade to Level 50 quickly by completing main quests, daily sign-in, or one-armed bandit, and then start taking the Daily Quests. 2.As your character level increases, you will get different growth packs. At the same time, you can claim Daily Gift Pack for free CPs (B) to develop your equipment and Battle Power. Click here to get more detail.